Car sellers frequently disclaim all warranties for used cars. 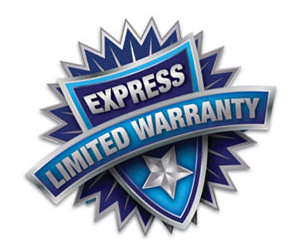 Disclaimers are simple, but dealerships sometimes forget that employees can use language that constitutes an express warranty that cannot be disclaimed. Silverstar Automotive, Inc. wanted to sell a used 2007 Ferrari F430. Silverstar hired Boardwalk Ferrari to conduct an inspection of the car, and Boardwalk provided a list of recommended repairs. Silverstar approved some repairs but declined others, including an exhaust header repair. After a potential buyer stated the exhaust header was a potential safety problem, Silverstar began negotiating with another possible buyer, Hamid Adeli. During text messages, Silverstar employees said the car was in “turnkey, excellent condition.” Employees told Adeli they made all necessary repairs after inspection, except for problems with the Tire Pressure Monitoring System. Adeli purchased the car and acknowledged he bought it “as is,” signing a warranty disclaimer. Shortly thereafter, Adeli smelled gasoline. His mechanic then made numerous repairs, including to a leaky exhaust manifold. Adeli sued Silverstar for breach of express warranty, fraud, and violation of the Arkansas Deceptive Trade Practices Act. The U.S. District Court for the Western District of Arkansas denied SIlverstar’s motion for summary judgment. The court acknowledged the warranty disclaimer but questioned whether the employee’s text messages were part of the final written agreement. If the text messages were incorporated, the final written agreement included a written express warranty that could not be disclaimed, so the court examined the scope of the warranty and whether it covered the cracked manifold. Addressing Adeli’s fraud claim, the court found a dispute whether Silverstar’s statements concerning the repairs made to the car and its condition were material misrepresentations and whether Silverstar’s failure to disclose the issue with the exhaust header was a material omission. Further, the court noted that a dispute existed whether Adeli’s reliance on Silverstar’s statements was justified, given his understanding of the “as is” purchase, his history of buying high-performance cars, and his knowledge the car was underpriced. The court denied summary judgment on the ADTPA claim due to disputes whether the statements or omissions were deceptive, misleading, and material. The final ruling remains to be seen. However, dealerships should note the court’s concerns over whether text messages about the car’s condition might be part of the final written agreement and not subject to the disclaimer. The words that your employees send in text messages or emails will be scrutinized if they are false. Consider developing policies about written communications with potential buyers. By Jonathan Michaels|2019-03-22T11:31:40-07:00March 22nd, 2019|Categories: Auto Industry Attorney, Dealership, Fraud claim, Warranty|Tags: auto attorney, claim, court, dealership, express warranty, fraud, text, warranty|Comments Off on Express Warranty via Text?